The first 'Future' magazine ever was a best selling. Editor was Chris Anderson who was also editor of the excellent 'Personal Computer Games' magazine and later editor of 'Zzap!64' magazine for the very first issues. 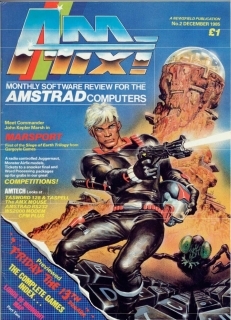 It's the perfect magazine if you were an amstrad owner, no surprise it won the challenge with Newsfield's Amtix! magazine. It's also incredible if you think that it reached 1995 with more than 100 issues published although from 100+pages in the beginning it come down to 60 pages (1992) to end with 24 pages only. In this list because 3 (4) issues were published in 1985. The third Newsfield's games magazine. Written and built like 'Crash' (for spectrum) and 'Zzap!64' (for commodore 64) it is aimed to the same audience with an amstrad machine. Not the same success as the previous two mags though. 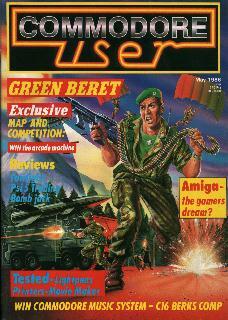 As games magazine for Amstrad, Future's 'Amstrad action' was better and best-selling. 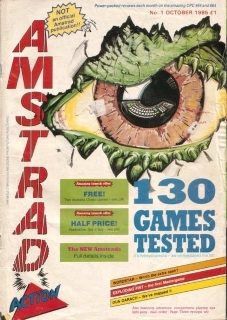 However, considering the lack of Amstrad games magazines I'm surprised it folded one year and half later. It was then merged with 'Computing with the Amstrad' [click]. Again it's here because 2 (3) issues were published in 1985. With SuperSoft this is a 'minor' magazine from Japan and of the first ever from the land of the rising sun. In the beginning it is focused on amusement parks, roller coaster and only one half is related to videogames (mostly arcade games and handheld). However at the end of 1983 already it is mostly videogames oriented again with a particular interest to the arcade games. The best part of this magazine are in fact the advertisment of the coin-operating machines although later issues also cover MSX computer. 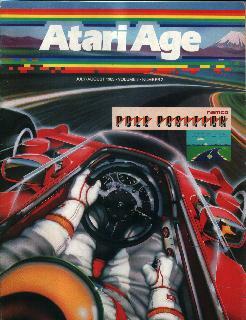 Atari's official magazine. 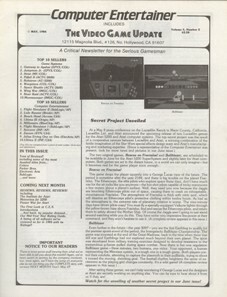 It replaces the Atari Age newsletters (two issues published only: Spring 1981 and Summer 1981) although it is still more similar to a newsletter than a real magazine. This magazine wasn't in fact available at the newsagent: it was for subscription only. There're usually 20 or 30 pages (full colour) with all the latest Atari releases for console (no Atari computer games coverage). Something similar to the UK Ingersoll's Atari owners club newsletter (available since 1980) there was also a German version called "Atari Club Magazin" (Christmas1982-April 1984) and French as well named "L'Atarien" (Oct. 83 - Feb.86 but with 11 issues realeased only). Tremendous circulation: it's very easy to find complete collections given away even nowadays for a few bucks. 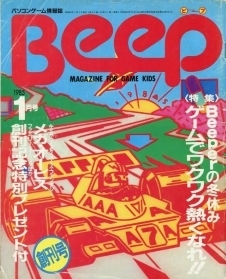 Beep, subtitled 'magazine from game kids' is not the first Japanese magazine entirely dedicated to videogames but it's my favorite. It is built in a very similar way to the English magazines (Crash is perhaps the one that comes closer) but it is multi-format starting from MSX, NEC PC series and FM-7 Fujitsu and then covering the launching titles of the new Sega (Sega mark III aka SMS) and Nintendo (Family computer aka NES) console. Colourful, with many adverts, screenshots, tips and tricks in its about 200 pages there is also space for arcade games, board games, gadgets, playgrounds and even (in the beginning) there are some basic listings to re-type. I only got a few issues from the first period and I find it a great magazine. It changes names over the years to Beep! Megadrive, then Sega Saturn Magazine, then Dreamcast Magazine and so on. First 'era' lasted until spring 1989. 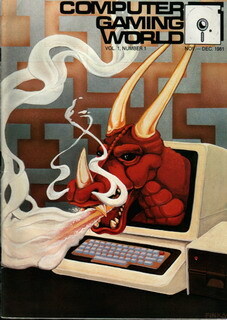 Also considered from the competitors the best computer magazine of its times, 'BIG K' is for 5/10% technical (programming, hardware..etc) and 90% games oriented (computer and console). Both sections were brilliant for the time. Unbelievably it will close the year after first being published because it wasn't selling too much. A mix of interested well-written articles about videogames and some sections related to younger people. 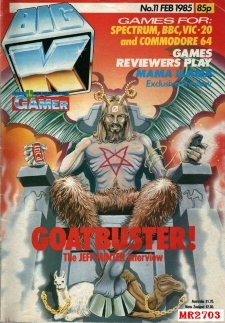 Last issues includes 'TV Gamer'. This is a 32 pages magazine with a comic book format and console gaming only related. I don't like it because it was probably aimed for 8 years-old audience (maybe also written!). However this is an interesting item being the first and only attempt of Marvel to enter in the videogames field. But as you can see it didn't last long. I'm too rude?. Could be. This is however what I read on a competitor publication of that times: "if you're old enough to understand this article you're too old to read BLIP!". I was very doubtful whether to insert it or not here. Another magazine too ahead for its time and another Sunshine brilliant publication. It covered (in the beginning) all the commodore world from technical stuff to videogames. Early issues are mostly technical and similar to Nick Humpshire's 'Commodore computing international'. But if 'CCI' isn't in this list since it never give up on the 'serious stuff' this magazine from 1985 become videogames oriented mostly so here it is. Changed its name to 'Commodore and Amiga Horizons' from April 1986 (last known) and then became integral part of 'Commodore computing international' [click] magazine from June 1986. 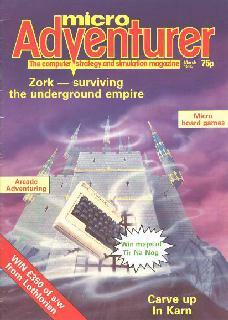 Emap's Commodore related magazine. 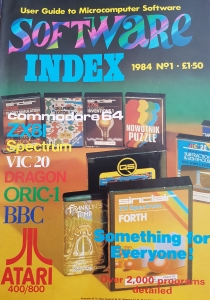 It's 'Vic computing' magazine [click] simply with a different name, more pages, sold at newsagents and obviously not solely Vic 20 oriented anymore. 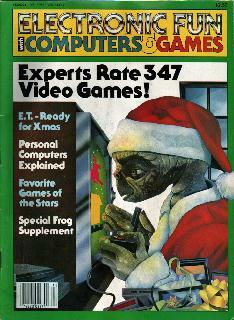 It's a technical magazine, but as early as December 1984 half of the magazine is games oriented. In mid 1985 is a game magazine mostly and from early 1986 following the success 'Zzap!64' is a games magazine only with technical contents dropped. It differs from the other commodore related publications in that period (CCI and YC) which didn't (for the moment) give up with the serious stuff. It covers all the Commodore world from C16 to the most modern Amigas with its rename as 'CU Amiga' [click] but C64 coverage was almost dropped already in early 1989 focalizing on Amiga games only. This is a Commodore bible from late 1981 to late 1998 but as stated until 1985 is not to be considered a real videogame magazine. The historic EMAP magazine. Multiformat par excellence it was the first monthly videogame magazine in the world. The first mag considering the videogames with the same importance as most of the magazines considered professional programs, hardware etc. 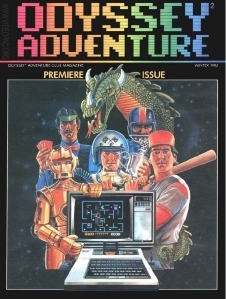 Absolutely exceptional (since early issues) the usual sections for adventure and arcade games. It has changed very much during the years and in half '80 already contents had nothing to do with early issues. Changed for the (very) younger people in early '90 since it was aimed for a 12-15 years old reader focussed mainly on consoles. The problem in C&VG is that in all its 23 years of history we can say there was always a better magazine around. But covering the videogames field from 1981 it's a piece of history since other (much) better multiformat games magazines (ex. Personal Computer Games, The One, ACE etc.) lasted less than half a decade. This is one of the hundreds of UK publications seeking to make its own space in the crowded world of computer magazines for 1984. And it is one of the few that can be inserted in this list being mainly related to videogames and generally dovoted to a teen audience. 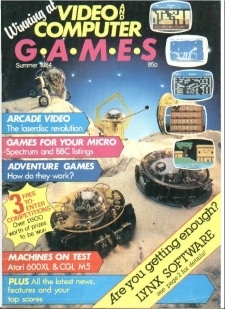 The reviews of games are well separated between the various systems and the magazine is full of very different articles but generally they talk about the computer use in everyday life or interviews with famous people on how the the computers changed their lives. In some ways similar to the American 'K-POWER' and 'ENTER' it is an interesting magazine that has a style of its own. 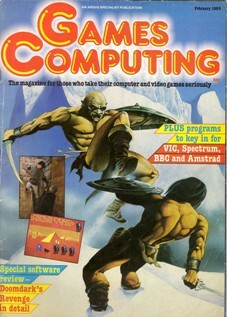 The sequel to 'Games computing' magazine and a very strange move from Argus indeed. It's really the same magazine with changed title, screenshots for games reviews (which now have a rating) plus an arcade section that replaces the console gaming section. Strangely there is less colour and there are worst listings!. Clearly they learnt a little from Newsfield. 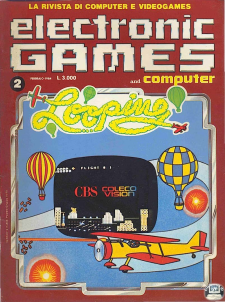 'Games computing' was a good magazine for its time but 'Computer Gamer' was totally inadequate to the many new and attractive publications born in the second half of the '80 years. Too late came the re-styling in 1987. The science fiction magazine named 'Futura' that used to have some (little) computer articles started to publish a spin-off magazine related to videogames only. It's in fact the official Italian version of the American counterparty 'Computer Games' magazine formerly 'Video Games Player'. Not a bad magazine but definitely not up to Jackson's 'Videogiochi'. The small italian videogames market in that period didn't give much room for other publications (for videogames magazines related only at least). 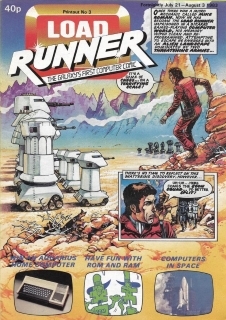 The closure came after 6 issues only becoming again integral part of 'FUTURA' magazine (a few dozen pages in the beginning then less) until May 1985. For many years the longest running videogame magazine in the world. In the beginning focalized on the strategy, war games and adventure games. No console coverage or arcade games at all. Despite its full 100% videogames coverage it's a rather atypical videogame magazine with reviews sent from readers. In 1984 it covers also arcade games and become more interesting. Only in the second half of the '80 it is similar to the european games magazines. In the early days the 'take a peek' section it's the best part of the magazine: there are about 30 games featured every month with a b/w screenshot and a little description (less than 10 rows); as you can guess in the 1981-1985 era it was not one of the best game magazines around for sure. 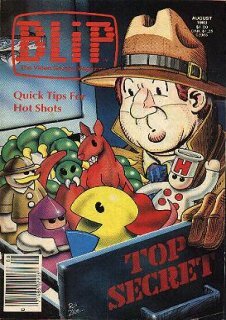 But it is also the only american videogame magazine which survived after 1985 and the only one where you could first read about the first Ultima, the first Zork, the first Wizardry etc. The first Newsfield mag is one of the best videogames magazines of all times. Extremely well pagination, very good reviews, very good articles. All the magazines of the time did copy "Crash" in terms of contents and in the way on how to review the games (but at the time some people say: written by 12 years old for 12 years old). Also modern mags are written and built like "Crash": this is the mag that started an era. Unfortunately spectrum related only after Newsfield's bankruptcy its logo appears in 'Sinclair User' [click] an EMAP mostly technical magazine (in the classic era at least). 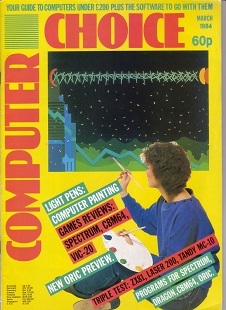 David Ahl's 'Creative computing' games magazine. CC was a great technical magazine and this version for games enthusiast is even better. Usual 130+ pages full of adverts, screenshots, game reviews (many in black and white though) and great articles. Unfortunately there were only two issues published (due to the american videogame shake-out); that's a pity: this is a magazine I definitely would have liked to see more issues. The right magazine published at the worst time possible. The main competitor to 'Electronic Games' magazine. Following EG great success it come out exactly one year later. And they obviously copied the famous Reese magazine in about everything. All the features you can find in Electronic Games are also in Electronic Fun: they didn't innovate anything. But I don't want to be misunderstood: this is a really good games magazine. There are in fact more console and computer games reviews than EG. I'd say that some parts of the magazine are even better than EG. 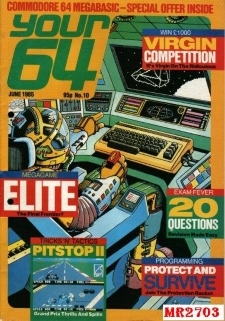 Name will change in Computer Fun from April 1984 and numeration restarts, but being only two issues of CF published I decided to treat EF and CF together. It's the official Italian version for the American 'Electronic Games' magazine. But from Summer 84 already contents are 100% Italian. It's for the younger audience (at first) and very similar to the American counterpart. Strangely it becomes more and more technical with the inclusion of listings and basic programming. So much that already in the beginning of 1985 only 3/4 of the magazine is related to video games. At the end of 1985 the technical and serious part becomes predominant proabably because Jackson's 'Videogiochi' was unbeatable. Very strange metamorphosis. In early '80, in Europe, usually the opposite occurred. 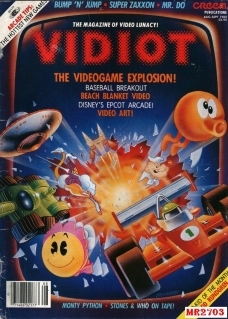 The first American videogame magazine. Also the first in the world if you don't consider C&VG as a real videogame magazine (I'm one of them!). This is a great magazine that started an era. The editorial staff was exceptional and the whole magazine is brilliant and (in its times already!) known worldwide. There are so many features and infos in every issue that I think the classic adverts only (Atari, Mattel, Infocom etc.) can justify a reading. No wonder there were also many official (and unofficial!) translations including Tele Match (Germany), Tilt! (France), Micom Games (Japan) and Italy with the same name. This is also the only (real) american videogame magazine (CGW is pretty atypical) which survived the 1984 shake out. It only changed name in May 1985 (numerations doesn't restart). Due to its tremendous circulation is very easy to find issues for sale also nowadays. 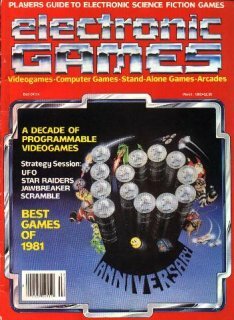 Another US magazine covering computer games and computer entertainment in general. It includes also some serious stuff like programming and entertainment articles not related to videogames. Very colourful and built like an UK magazine is a very good magazine on its own; I think it's the most interesting title if you compare it with its direct US competitors (K Power & Microkids) being very similar to them. But I do prefer other 'real' videogames magazines because it reviewed just a few old games. Family Computer Magazine aka 'FAMIMAGA' is considered as the first real Japanese videogame magazine even if Login (especially from March 85 with the attachment 'will be' Famitsu) and Beep (from the end of 1984) predates this magazine and could be considered valid competitors. This is also the official Nintendo magazine at least until late 1980s and in these years the main comptetitor of FAMITSU once became a stand-alone magazine in June 1986. I managed to see only a bunch of issues among the first editions and it seems much more focused on strategies rather than on video game reviews. In 1997 it was splitted into two different titles which both lasted shortly. In any case, I would like to see more early 'classic' issues before giving a final judgment. Maybe someone can help. The first Argus 100% games magazine. This is a great magazine with good reviews and excellent articles. I like the style and its layout in general. There is even a section related to the console gaming with reviews, news etc. Despite it's not very known I think this magazine has very little to envy to the 'C&vg's' of that era but it's also weaker to multiformat 'PCG' or machine related magazines like 'Crash'. In fact 'its biggest (maybe only) problem is the totally absence of screenshots for games reviews; they preferred to use the overlay covers instead. Become 'Computer gamer' from April 1985 but numeration restarts. Don't be fooled by this umpteenth Argus Specialist publication. Although front covers sometimes can be misleading it's a video game magazine. Very clean in the layout with reviews (very up-to-date, as obvious being weekly) of all the major games of the moment. 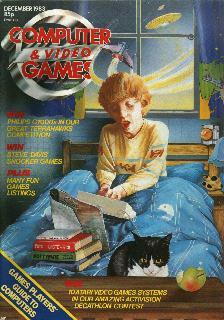 I may be looking crazy but probably this is the best UK videogame magazine in 1983. For sure the best regarding the number of video games reviewed each week including percentage ratings with great software house interviews and news column but reviews are without screenshots and the whole magazine is however also poor regarding game adverts and "colourful" pages. 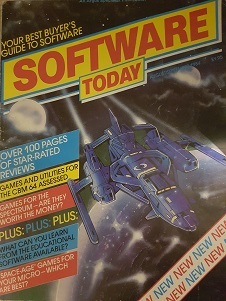 With the advent of the new mega videogames magazines in 1985 he tries to give itself a more technical edge and eventually become integral part of Popular Computing Weekly (a mostly technical publication from sunshine). A glossy publication. Subtitled 'how to win at video games' is what you could expect. Tips and tricks mastering videogames mostly. Every game featured takes about four or more pages including beautiful colourful screenshots. Tips are great and they are for console games and coin-op mostly. It's spectacular turning these pages with all that colour and screenshots. Unfortunately as a simply videogame magazine it's not very good indeed since there are only mini reviews and the total absence of adverts. A great magazine on its own but I'm not surprised about its demise: if you didn't have the right videogame for the right machine featured in the articles many pages of this magazine were useless. Just average videogame magazine. It is similar to the UKs publications of that times with many game listings inside. But it is also colourful with a very interesting games reviews section. Coverage is for computer games only and despite it was generally aimed to a teenager player there are some nice features like modems, starting your own BBS etc. Very similar to 'Enter' and 'Microkids', it includes the latter in the last few issues. From Janaury 1985 it become a very small section of 'Familiy Computing' (another Scholastic mostly technical magazine). 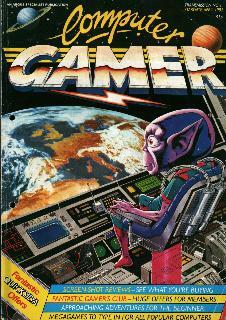 The 'Galaxies First Computer Comic' is a 40 pages magazine with videogames/home computer theme published fortnightly. There are also videogames reviews, arcade games and even type-in listings. Very similar to american BLIP magazine I was very doubtful whether to insert it or not here. 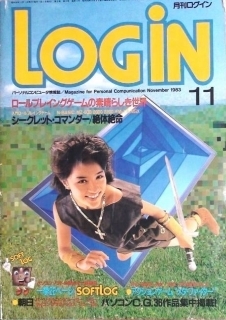 Login is recognized as the very first Japanese magazine dedicated to video games. Born as a spin-off of ASCII (a 100% technical magazine) from the largest computer publisher in Japan the first issues are actually still quite technical and it is only from April 1983 (when it becomes monthly) that it is focalized mostly in video games. This change of focus is even more noticeable from the end of 1984. 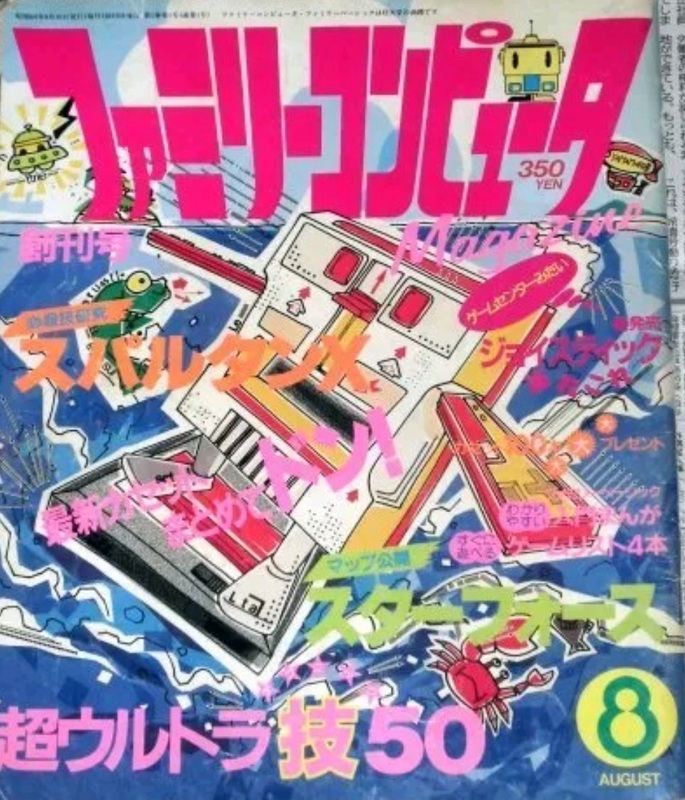 Moreover from March 1985 the famous 'Famicom Tsushin' was a section of the magazine until June 1986 when it became a magazine of its own (FAMITSU) as well as the leading magazine for the periods to follow. Although the magazine has lasted a couple of decades since then it became more and more peculiar publishing humor articles that had little to do with games leaving FAMITSU and FAMIMAGA the role as real videogames magazines. Tremendous circualtion it's easy to find early issues for sale even today. Some of them are 400 pages 'monsters'. Another brilliant Sunshine publication. There are good articles, good reviews and good hints section but it's for adventure games and simulations only. To publish a magazine so focalized is a bit dangerous at least, both in terms of readership and potential advertisements. Overall, I'm surprised it lived so long. However a perfect reading for the true text only adventurer!. A particular gem: graphics adventures are now cosidered the natural evolution of text adventures. I don't agree, they are two different types of videogames. Subtitled 'the magazine for kids who love computers' this short lived magazine built like 'K Power' and 'Enter' is just average. There are however many more pages and many more contents aimed to 'kids' players (not as you could expect though). There are also many serious stuff as programming and other kids stuff like comics. So particular that I was very doubtful if place it here or not since it is more similar to 'Hi-Res' than 'Enter'. 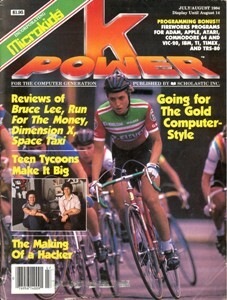 No surprise it was merged with 'K-power' magazine just a few issues later. 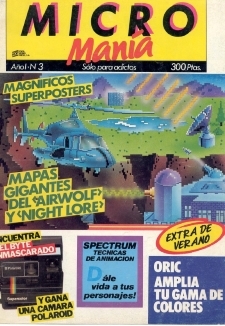 Spanish videogames enthusiast had to wait until mid-1985 their first videogame magazine while (not to mention UK) Italy, Germany and France had already since late 1982. It was worth the wait because it's obviously a "modern" magazine, very clean in the layout with its part of reviews (half of mag) and tips and tricks (other half). The reviews of amstrad and spectrum videogames are predominant compared to other machines of the period (C64). The "primera epoca" lasted from 1985-1988 and only the first issues can be considered classic. 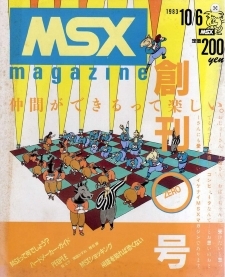 As easily understandable the best videogame magazine (as well as unique) for MSX computer is a Japanese magazine. Best UK related magazines for MSX were in-fact totally technical (Argus' MSX USER) or mostly technical (Haymarket's MSX COMPUTING). Something better can be found in countries like Spain or italy but still no mostly videogames oriented. Some issues are 200 'monsters' pages but in general the pages are around 100. Since the first issues it has a vocation almost totally oriented to video games, news and tips etc. although if there are some pages related to new hardware or to the inevitable type-in listings. Definitely a magazine not to be underestimate and looking at its quality that does not surprise me too much it lasted until 1992. This 12-16 pages quarterly magazine is more a newsletter than a magazine in fact it was sent out to members of the Odyssey 2 fanclub. It is colourful, full of news, tricks and information. These 16 pages could hardly be used better. In this list only for the presence of Atari Age. This is the australian version of the UK magazine 'Personal Computer Games'. Very similar in many aspects (especially regarding the part related to video games reviews) but also different from the English counterpart since it also features some technical stuff (from the UK magazine 'Personal Computer News') while remaining almost completely focused on video games. There are also many more video games listings than the original UK version and, of course, it is more oriented to Commodore 64 than Spectrum owners . It is the only "classic" Australian video game magazine that deserve to be in this list as all the other "down under" publications (ex. Australian Commodore Review) were almost completely focused on the technical side in that period. In its really short live this was my favourite European videogame magazine. 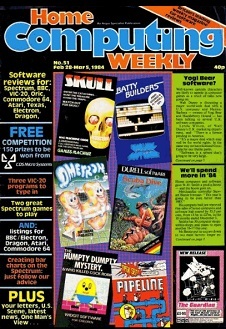 In the year 1984 PCG was the only magazine (with HCW) that also reviewed a vast amount of games for commodore 64 every month. And they obviously caught many adverts of Commodore games. Probably it was about two years ahead because the commodore-only magazines of the period didn't review many c64 games but were full of hardware news, programming technics or basic listings. It closed in February 1985, to the astonishment of all. 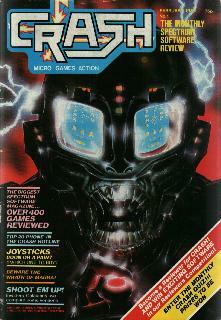 After its closure three PCG reviewer went to Newsfield to give life to 'Zzap!64' magazine. For C64 videogames coverage before Zzap!64 forget the various multiformat magazines (C&VG, Games Computing...) or commodore related magazines (Commodore User, Commodore Horizons, Your Commodore, Your 64...) and simply look for PCG. 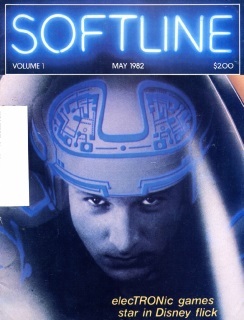 Softalk's games magazine. At the beginning it mainly covers Apple 2 and Atari computer but then it covers also Vic20 and C64. It's basically a videogame magazine but many of its 32 (up to 64) pages are for programmer interviews and regular columns like "the graphics technics" for apple 2 and "the sound technics" for atari. Articles always from a "playful" point of view but still quite serious. Some of them also are written by people like top Electronic arts' programmer Bill Budge or Sierra Online's founder Ken Williams. Very interesting the video games advertisements which are very difficult to find in other more "popular" videogame magazines. The games reviews section is without screenshots. Last issue changes its original name. Overall a little gem. This quarterly publication has a considerable number of pages and information to be reckoned with. And it is substantially indentical to the 'Software Encyclopedia' by US 'Electronic Games' magazine. I can bet this is a true copy since it was published just some months after... Therefore it has informations (a few lines) about all the relases for the period. It is good and valuable on this own but not as a true video game magazine. At least three numbers are known, all of them published in 1984. Another Argus specialist publication born in the first half of the 80s. In this case it can be inserted here because all of its (more than) 100 pages are related to software reviews (you can also read as videogames reviews). Probably born to compete with IPC's 'Software index' magazine (released about 6 months earlier) it's a typical classic argus magazine (reviews in column, rating with stars, no screenshots at all) but at least the various systems are kept clearly separated and reviews are longer than usual. Furthermore there are no-type in listings (that was not so obvious even if it was a software reviews magazine). At least two published issues are known. Another "minor" japanese magazine that may belong to this list. Only 25 pages on average, but completely dedicated to video games without any technical article. Generally focused on arcade games it is based on "how to play" and "how to win" for arcade machines with the related high-scores. 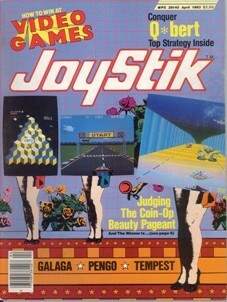 It could be considered someway similar to the american 'Joystik' magazine but it is obviously not as good. This short lived German magazine has fewer pages of its competitors but it is generally good and bulit in the same way as the usual European video games magazines of that period. Hence many colourful pages, games reviews for console games, handheld and generally little or no coverage for computer and computer games. Again we're facing with a good publication but not enough to stand comparison with 'Tele match'. No room for two german vg magazines since the video game market was still in its infancy. 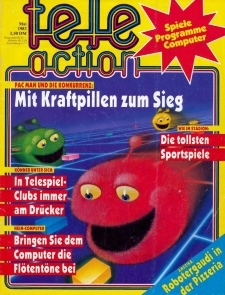 The first german videogame magazine has an official relation to US 'Electronic games' magazine. 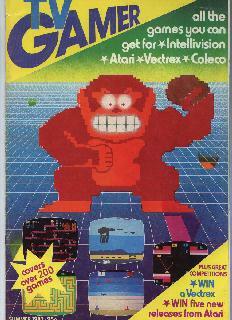 The Electronic Games magazine logo appears on the cover and in fact is very similar to the american counterpart focalizing on console games mostly. Computer games coverage start to be intersting at the end of 1984 only with merging of another computer publication, at that time "computer" is the big title on the cover and Tele Match is kept with small font. 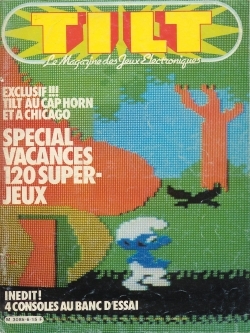 The first French videogame magazine has, again, an official relation to US 'Electronic games' magazine. And it is even better. A slick and colourful publication with more than thirty game reviews every month. Long descriptions, one colourful screenshot (at least) for every game, ratings, all including great adverts. Software coverage is from Atari, Mattel and Coleco to Commodore, Spectrum, Mac and coin-op. It can compete with all the best and most known British and US magazines of that era for sure. A British magazine built like an American magazine. Console coverage is very good with many games reviews plus colour screenshots. In the beginning they review all the available Atari Vcs and Intellivision games and then they also look at the launch titles for the Vectrex and Colecovision. Computer coverage starting from the fourth issue become however always more important. It will become integral part of 'Big k' magazine from February 1985. 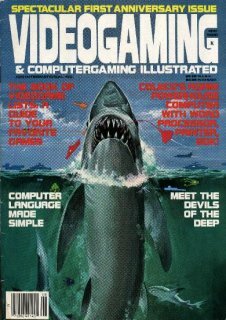 Before 1985 if 'Crash' was top for spectrum games and 'PCG' (although multiformat) was top for commodore games this magazine can be considered the best for 'console' users. A newsletter which deserve to be placed in this magazine list. Every month it featured the most comprehensive listing of upcoming releases for every platform; the number of games reviews, b/w screenshots and even articles/interviews must be seen to be believed. Its quality is also superb. This is the best source for researching month (!) and year about a game first release including platform, name change and unreleased games. Name changes through the years following the dilemma computer games or console games. This is the REAL encyclopedia of videogames (forget about C&VG or CGW) from early days to Nintendo and Sega. If you want to search for a particular game/machine there is no doubt you must search in this newsletter/magazine at first. As a newsletter you understand is rather atypical and I think it deserve to be here. Another excellent American videogame magazine. It's a typical US mag, colourful and oriented on console videogames and coin-op mostly. But here we have also excellent articles about programmers, history of videogames with an excellent layout. In terms of 'new' games reviews is perhaps inferior to the 'top two' US mags: Electronic Games and Electronic Fun but it's superior for its articles and news. It worth more than a quick look. This bi-monthly American publication is one of the best magazines of its time if what you want are simple videogame reviews. The reviews section is in fact the best part of the magazine: many games reviewed (good computer games coverage also) all with colourful screenshots and ratings. Unfortunately there're not many pages and articles inside are not very interesting either. In that times, there were many videogames magazines worst than VGP but there were also a few better. When it become 'Computer Games' there was also an Italian translation. They call themselves the magazine for the 'serious' videogame player. This is one of the best publications of that time although it's not the best as a simple games review magazine. We have everything from console games to computer games, from games strategies to new games for console and computer. 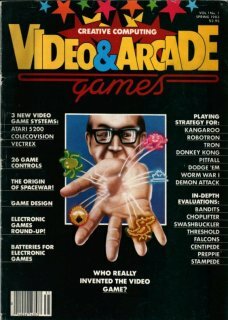 We have also articles from Isaac Asimov, articles you couldn't usually find in other magazines about the 'censored' games and they were the first to talk about the end of the Intellivision, Coleco and telling doubts about the new Adam. Great 'inside the industry' articles like the 'fall of Imagic'. Without doubt the most advanced videogame magazine of its time (similar to modern 'edge' magazine) but as a game publication it was too ahead for its times. The first Italian magazine exclusively oriented to videogames. Excellent, especially the 'al bar' (arcade games) section. Always full of interesting news. This is a great magazine for console coverage although is poor for computer gaming and aimed to younger people. The short lived Jackon's sister mag 'HOME COMPUTER' [click] tried to fill the gap but it's mostly technical. Overall very similar to the American magazines of that time (it's almost an unoffical Italian version of US 'Electronic Games' magazine in effect). The editorial staff (Studio Vit) left the magazine in the first half of 1986 to start the Italian translation of 'Zzap!64' magazine; from that time 'Videogiochi' changes format and quality goes down very much until its inevitable death. Don't have any prejudice reading the awful title. This is not a magazine for 12 years old vIDIOTs. Let's call it a magazine for an 'out of the rules' videogame player with, for example, many photo of famous singers while they were playing at videogames. Every month we have, in fact, about 6 pages devoted to MTV and all the latest videos. 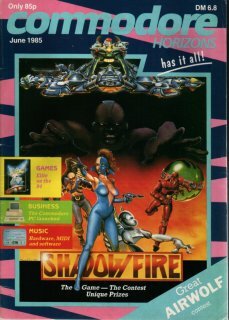 Its best part are the fantastic colour photos for the latest coin-op but for the complete absence of computer gaming and the poor coverage for console games it wasn't enough for the average videogame player who used to buy a single videogame magazine in a month. A lackluster and strange publication where you don't understand the reason of the 'winning at' caption in the title of the magazine as its contents are mostly hardware reviews (although from a playful point of view) and articles about videogaming in general. The various listings in basic language (still related video game) to be re-typed on the computer are the predominant part. Also the lack of reviews, not many pages (mostly in B/N) makes perhaps one of weakest publications related to videogames for the period. 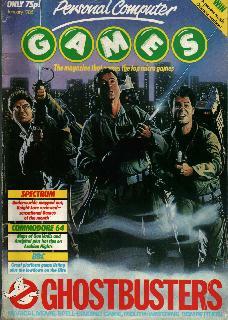 This is one of the three Commodore oriented magazines which can belong to this list. It's not 100% games oriented at first but in early '85 following the success of 'Zzap!64' this magazine is mostly games oriented. Sportscene (then Dennis publishing) is a guarantee and the overall quality of the magazine is naturally really good. Despite this, it didn't sell much (but a circulation of 38k seems much to me) and it will become integral part of 'Your Commodore' [click] magazine, an Argus mostly technical (in that period however) publication. Sportscene's magazine for Zx Spectrum. It's not 100% games oriented but it's more a game magazine than a technical magazine. Both sections are however brilliant like its commodore 64 sister mag. 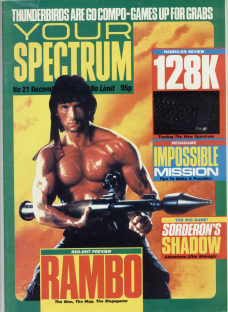 I would consider it the best as 'all in one' magazine for Spectrum. Probably its bigger problem was that it couldn't compete with Newsfield's 'Crash' magazine as games mag only, at least until its natural evolution to: 'Your Sinclair ' [click]. Newsfield's sister mag. Exclusively oriented to commodore 64 videogames it is the first commodore magazine that didn't consider more serious arguments at all. The first editorial staff is in practice the same of 'Personal computer games'. An excellent publication but a little inferior if you compare it with the other Newsfield mag 'Crash'. Later it also covered the 16 bit commodore Amiga. However the magazine goes down in terms of quality from the end of the '80s and after until it changes its name in 'Commodore Force'. There was also an italian translation named Zzap! [click] which run from May 1986 but it covered also other 8 bit machines like Spectrum and Amstrad.